Loved the TV commercials in the '60s where "motorists" were scooting along on the street without cars. 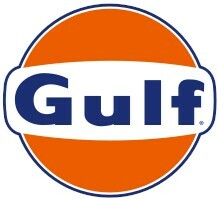 Gulf oil was very big in the south in the 50's and 60's. It seems it was the biggest gasoline station in Houston, Texas but our family used Sinclair's with the green dinosaur on the sign.